January tends to be a month of blogger's block for me - I really do take a break from shopping during the holidays, which leaves me with nothing new to share in January. While NEW things aren't the only things I can share here (and I am all for being frugal and working with what I have), even creatively I feel dried up after the holidays. That is why January is the perfect time to look back on the outfits shared in the past year and share my favorites! February is one of my favorite months. It's Valentine's Day! My blog turns into a Valentine's celebration once February hits with a combination of V-day themed outfits and yummy Valentine's treats. I loved (and still love) this LindyBop wiggle I bought for Cody's and my night out on Valentine's Day. 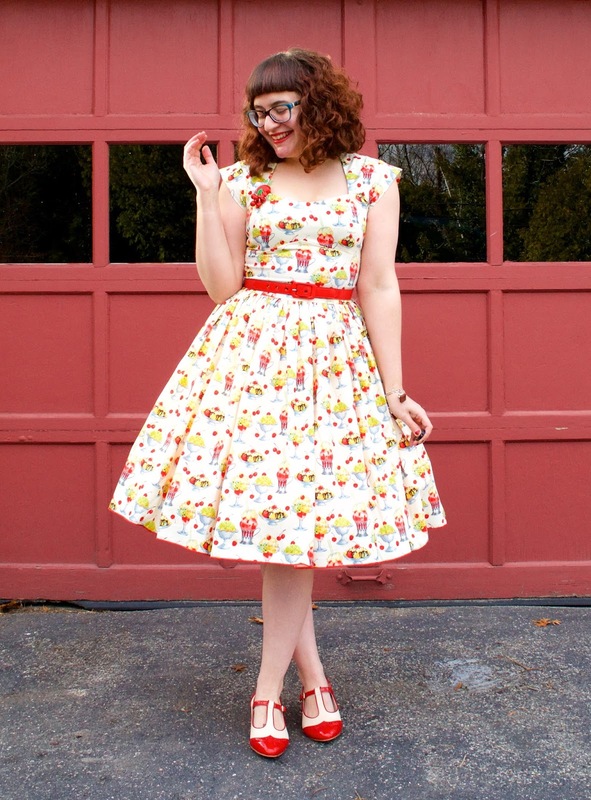 Fun fact - this was the very FIRST wiggle style dress in my closet! I have since added a couple more and like to rock them for special occasions or when we plan fun date nights. Speaking of treats - my favorite outfit from March was a sugary sweet Bernie Dexter dress paired with my favorite BAIT Footwear shoes. I wore this dress when Cody and I ventured off to NYC to meet Anna and Florian and I think of that day whenever I wear this dress. It was such a fun day and it was so extremely amazing to see Anna and Florian again. I have since spent more time with them on their turf but NYC was only our second time meeting up so it was a sweet memory. April was an insane month for me as I was traveling for work almost every week. This made it a challenge when my best friend's (then) boyfriend let me know he planned to propose to her that month and wanted to do it when I was home so that I could be involved. How freakin' considerate is he?! There was only ONE weekend I'd be home - right?? - and he so kindly planned his proposal for that weekend. 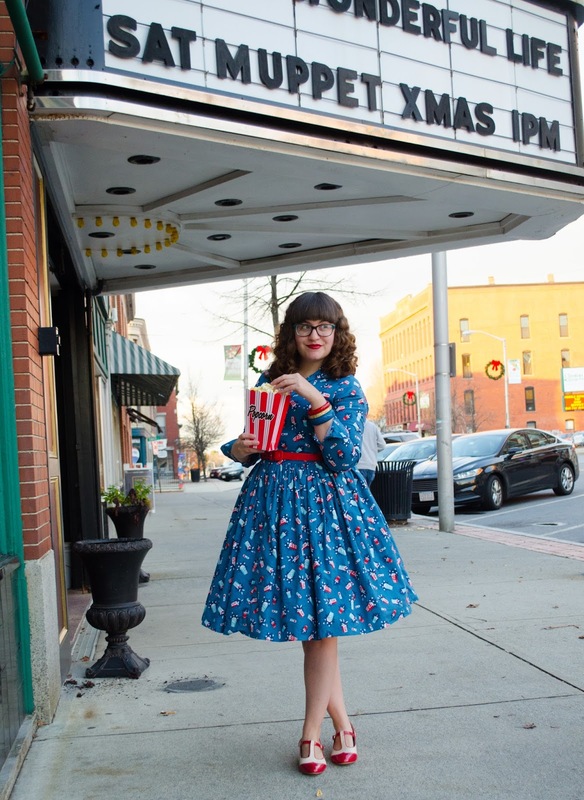 It was such a fun day, surprising her with a party after they returned home engaged, and I loved rocking this Unique Vintage dress to celebrate with them. I had a few favorite May posts but definitely loved this outfit featuring the rainy day skirt from Tatyana. I ordered it almost immediately when it was stocked on their website and have worn it quite a bit! It's such a pretty print and delicate fabric. With these bright colors, it's perfect for summer, but I have easily worn it in winter with purple and other darker hues. 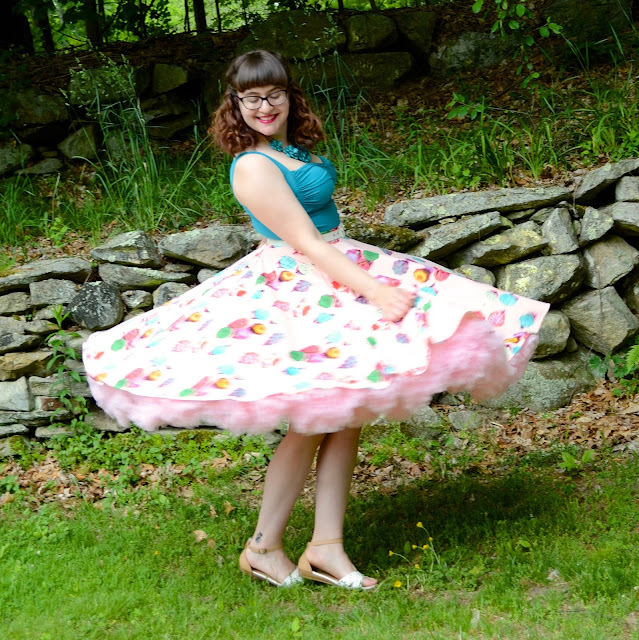 I mean, it twirls like a dream - how could I go wrong?? 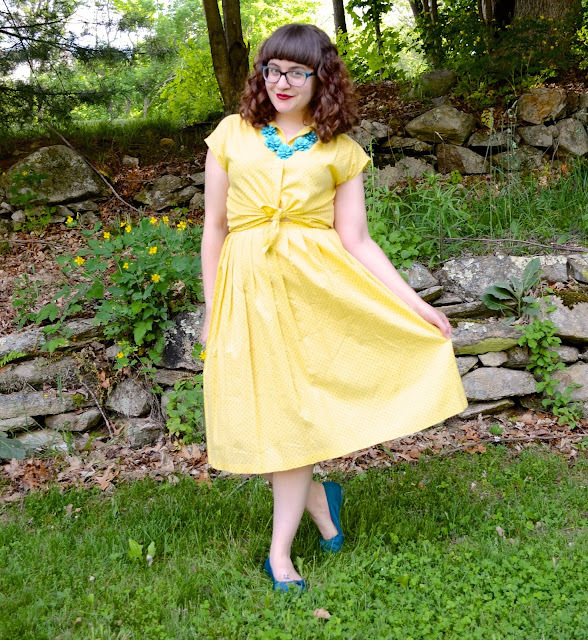 This bright and sunny two piece vintage outfit was my favorite in June. Actually, it was a favorite all summer. It was so light and fun. I wore it quite a bit this summer as it was easy to manage in the crazy heat we had. The outfit was definitely my best find at the Brimfield Show Antique Markets this year. I recently sold the skirt as it was a smidge too tight but the blouse remains in rotation and is worn often! My birthday is in July! Cody and I celebrated in Cape Cod and had dinner aboard a classic train. 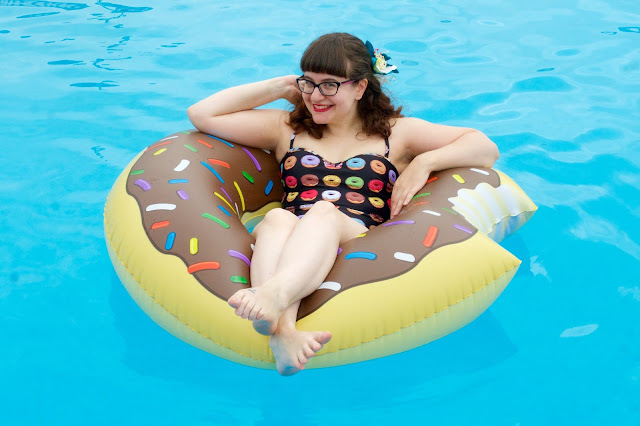 While in the Cape, he so lovingly snapped some photos of my new favorite bathing suit. This was one of the first times I planned a shoot outside of the comfort zone of my yard or driveway and I was quite nervous about it going well! Luckily, the morning before we checked out, it was overcast so not one soul was at the pool!! Score! It was a fun shoot and I loved this post. It also helped me embrace my body and own how I look - you can't hide much in a bathing suit! It wouldn't be a complete list if I didn't feature more than one Bernie Dexter dress. I invested in quite a few this year due to two new styles in her line - the Kelly and the Nicole. 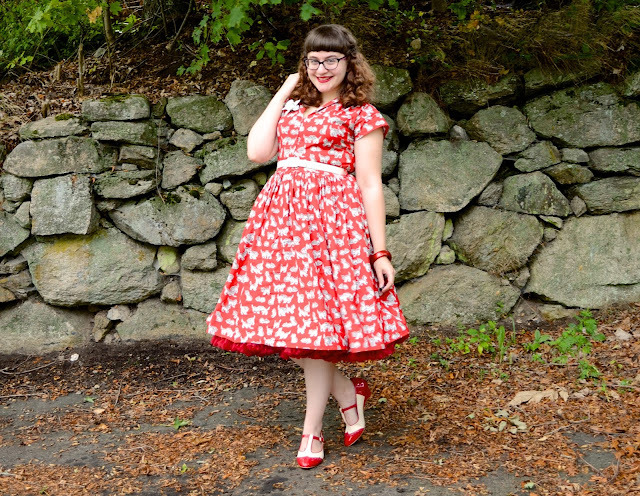 This red kitty Kelly dress is still one of my favorites and just looks so good with my red Malco Modes petti and BAIT shoes. It's red (one of my favorite colors) and it's covered in kitties! Need I say more? I set a goal for myself right around September to branch out and photograph my outfits in other places other than my home. It can be challenging when working with a tripod and remote shutter, but I decided that unless there was some real reason holding me back from taking photos elsewhere, I would stop shooting in my driveway or yard. With Cody's help (he's been SO helpful in snapping pictures for me at places where a tripod just doesn't make sense), I have been able to do this fairly often, only stepping out into my driveway every once in awhile. 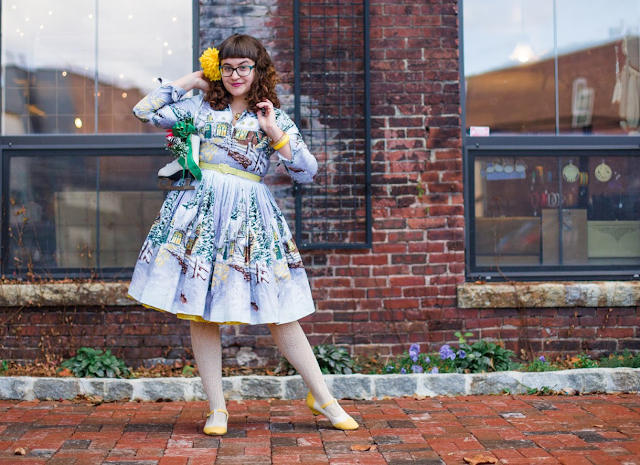 For this amazing Hell Bunny dress, Cody and I headed into Worcester to check out some new murals they had solicited as part of a huge art movement started in the summer. The brightly colored murals made for some really fun photos! It's still a bit challenging to branch out and find locations to snap photos at - especially when life gets busy and I don't have all the time in the world for photos - but it's been fun overall and I plan to keep this as one of my biggest blogging goals for 2017. This was easy! 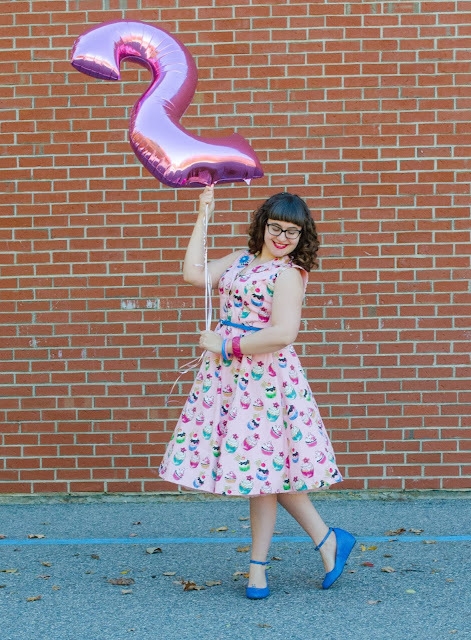 October was In a Nutshell's 2nd birthday and I celebrated with a cupcake dress from LindyBop, balloons, and surprisingly loud confetti canons. See the full post for photographic evidence of how startled I was when I let one of those bad boys go. Though it was an insanely windy day, I was able to find a semi-calm spot behind a building in town where I was also hidden from the world enough to be ridiculous with my balloons and confetti. 2 years have flown by and I am excited to see where 2017 takes this little blog! Another Bernie Dexter dress is the winner for November. Like the Kelly dresses, the Nicole became a favorite for me for winter. This is the first long sleeved dress I have bought that fits me PERFECTLY. The sleeves aren't too snug, I am not restricted in arm movement AT ALL, and the dress is just a gem. 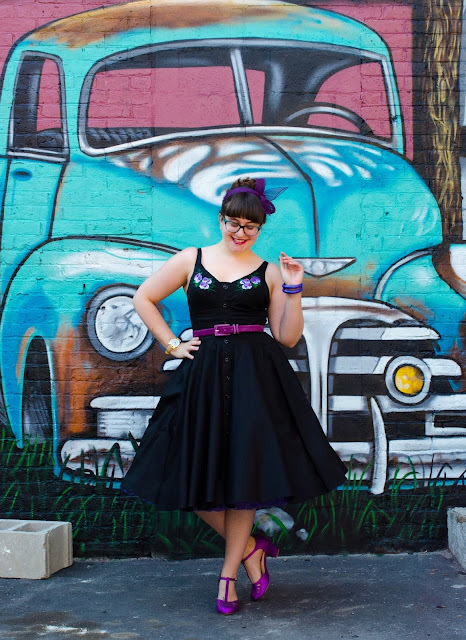 I want to buy more of these dresses because it is not often that they are so well made and fit so well. Bernie just knows what she's doing - from the zipper front to the amazing quality of fabric, I am a big Nicole fan and hope she releases at least a couple more this winter before she starts her Spring lines. Also, this shoot was just too fun. We made a total mess with the popcorn - but don't worry, we cleaned it up!! Oops! There are 2 favorites for November. How could I NOT include my trip to Aruba?? Cody and I took our first real vacation together and had such an amazing time in Aruba. 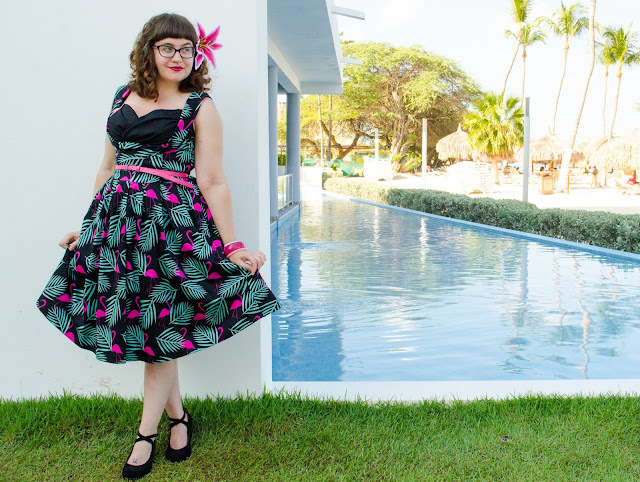 Prior to my trip, I had the opportunity to work with Lady V London and they kindly sent me this flamingo covered dress to review. I took it with me to Aruba and had fun photographing it around the resort. I couldn't pick a better backdrop for this dress if I tried! Last but certainly not least, one more Bernie Dexter dress to round up the year! Another Nicole, the Winter Wonderland print was a must have for Christmas. I plan to keep wearing it this winter as we have snow as late as March and April some years but it was definitely my most worn holiday outfit this year. 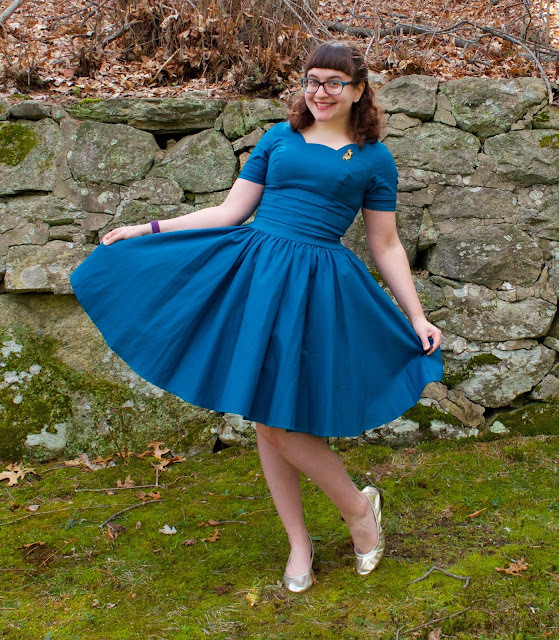 Like the other Nicole I have, it fits me PERFECTLY and the sleeves are a dream come true. How often do you find something that fits so well? It's rare. I WANT MORE! They're all so lovely! The jeans really are great, wow! I can't pick a favorite, goodness! Oh, and I'm going to have to hunt down those red and white Baits shoes, red is my favorite color too! Love them all! These are all awesome - I love seeing the whole year in one month. I think my favorites are March and September, but you look lovely in each!